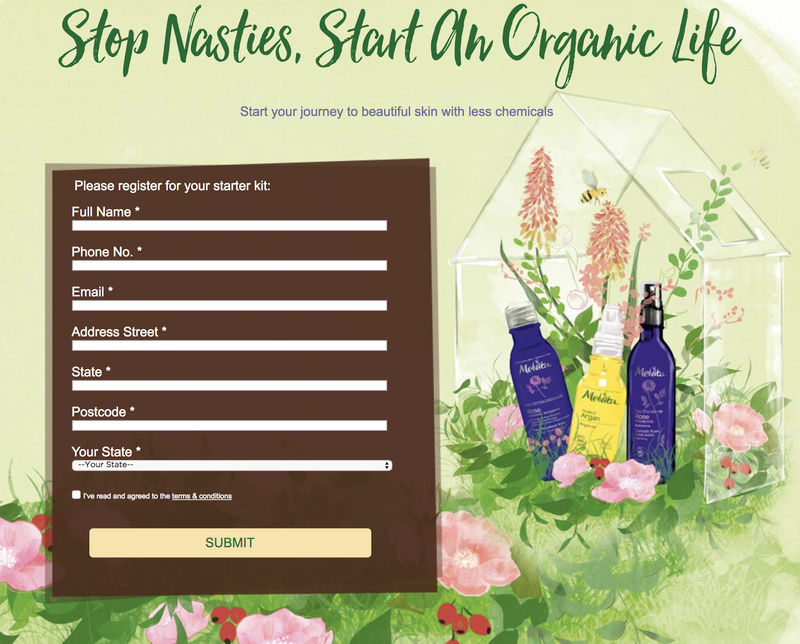 If you've read my latest post on Melvita's If My Skin Could Talk campaign, you'd know that Melvita's dead serious about saving not only the earth but also your skin by asking you to start an organic life with them. What's the best to do this? By redeeming a free starter kit from Melvita. Just fill up your details on the page and wait for the email confirmation from Melvita. With the confirmation email, flash the visual to redeem it at Melvita boutiques near you. They're at 1 Utama, KLCC and Mid Valley. Sampling kit to be redeemed in stores. Redemption date from 1st August - 31st December 2017, strictly whilst stocks last. Strictly limited to ONE sampling kit per customer, per email and per home address. Multiple email address will not be entertained. No representative is allowed to collect on behalf. Proof of ID must be presented upon request. Melvita Malaysia reserves the rights to replace any of the items for another item of similar value.